Use a tack or small nail to poke a hole in the center of each cup bottom. 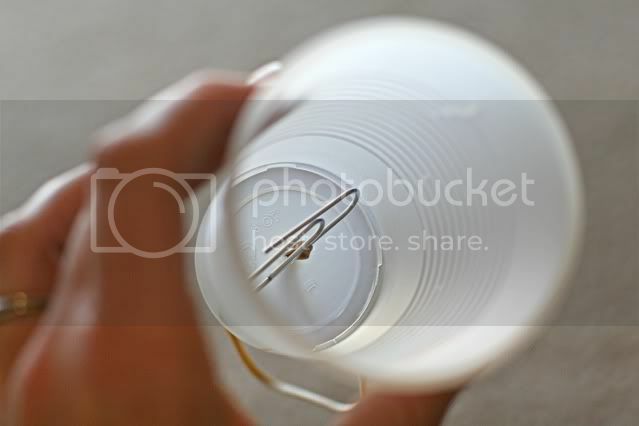 Push one end of a thick rubber band through the hole and into the cup. Set the 2 boxes or bowls about 5 yards beyond the starting line, oppisite the teams. Form 2 teams. 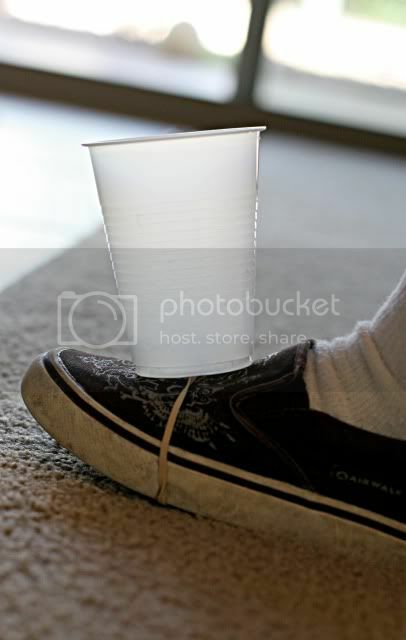 At "GO", one boy on each team must fill the cups on their shoe with popcorn. 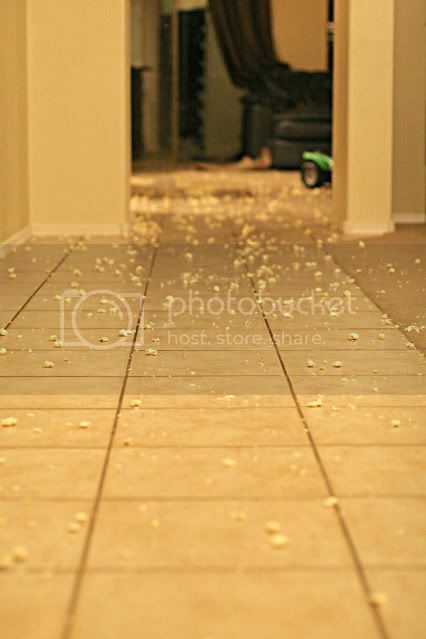 Then, sprint down to their box and dump the popcorn into the box, trying to lose as little popcorn as possible along the way. The racers run back to tag the next teammate in line. The race continues for 2 minutes, until one team has used all of their popcorn, or until each boy has gone al teast once. The popcorn is then measured with a ruler or by cupfuls. The team with the most popcorn is the winner! Came over from Peddling. First Grade teacher here with two young boys of my own. Cool site. I'm not a mom but besides that, I am sure there is info here I can use. ha! yes, that looks like an Outdoor activity!!! stopping by from Pedaling, you got some great ideas here. i have two boys...so can't wait to hear more fun ideas! stop by and visit me anytime too, i love new visitors!